When reporter Kim Barker (Tina Fey) decides that she needs more than her pedestrian existence allows, she decides to make a change, shape up her life and take an assignment in a war zone. Amid the addictive chaos of conflict, she finds the strength she never knew she had. According to Forbes, comedies accounted for 50% of 2016’s film flops. Sadly, Tina Fey's Whiskey Tango Foxtrot was one of them. Forbes states that the film is “confused”, balancing “serious war storytelling with Fey’s comedic delivery, to mixed reception”. While Glenn Ficarra and John Requa’s film was well received by critics (earning a 68% rating on Rotten Tomatoes), the movie made just under $25 million in box office receipts on an estimated $35 million budget. So, what went wrong with Whiskey Tango Foxtrot? Part of the blame has to lie with the movie's marketing campaign. Trailers were perplexing and audiences were left confused about what to expect (even the film's title gives nothing away), little realising that this funny and entertaining film is also a drama with interesting things to say about war reporting. Meanwhile, Whiskey Tango Foxtrot was released in the US in March and in the UK in August. Both months are full of well marketed blockbusters. 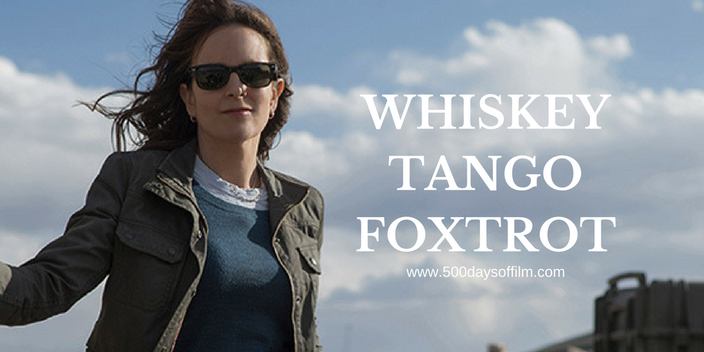 As a result, despite some positive reviews and word of mouth, Whiskey Tango Foxtrot didn’t stand a chance. However, this is not a movie that deserves its ‘flop’ status. Tina Fey gives an impressive, nuanced performance ably supported by an impressive supporting cast. The film has an interesting story to tell, even if it does get a little too cheesy here and there. I would recommend Whiskey Tango Foxtrot. Perhaps it can now recoup its losses via DVD sales. Whiskey Tango Foxtrot is based on Kim Baker’s memoir The Taliban Shuffle: Strange Days in Afghanistan and Pakistan. Forbes compiled its list via information from Box Office Mojo, IMDB and other sources to find worldwide box office grosses and estimated production budgets. It then ranked films based on the percentage of their budgets that they earned back at the theater as of 21 November 2016. Forbes only included movies that opened in more than 2,000 theaters and did not examine films released in November. Have you seen Whiskey Tango Foxtrot? Did you enjoy it? Why do you think that this movie flopped at the box office? Let me know your thoughts… leave me a comment in the box below!